You’ve been designing and building landing pages for a while now. You may even create landing pages for clients. You’ve seen the benefits of landing pages first-hand, and cringe at the thought of sending PPC traffic to a homepage. You pride yourself on creating pages that are both beautiful and delightful… a recipe for campaign success. If landing page building was an Olympic sport, you’d be Michael Phelps. Image via Giphy. But then, unexpectedly, you’re hit with a massive wave of landing page creative block. It’s a thing, and it can happen to anyone. Creative block creeps up when you’ve got all the tools to build a massively high-converting landing page, but the juices just aren’t flowing. And without those creative juices, your landing page could end up feeling stuffy and robotic. Fear not, friends, there’s an easy cure for landing page creative block. Simply follow my two-step process and you’ll be pumping out beautiful, high-converting pages in no time. Go for a quick walk around the office. Featuring 10 sensational real-life landing pages spanning multiple industries, the 2016 Spring Lookbook is sure to inspire you and get those creative juices flowing. 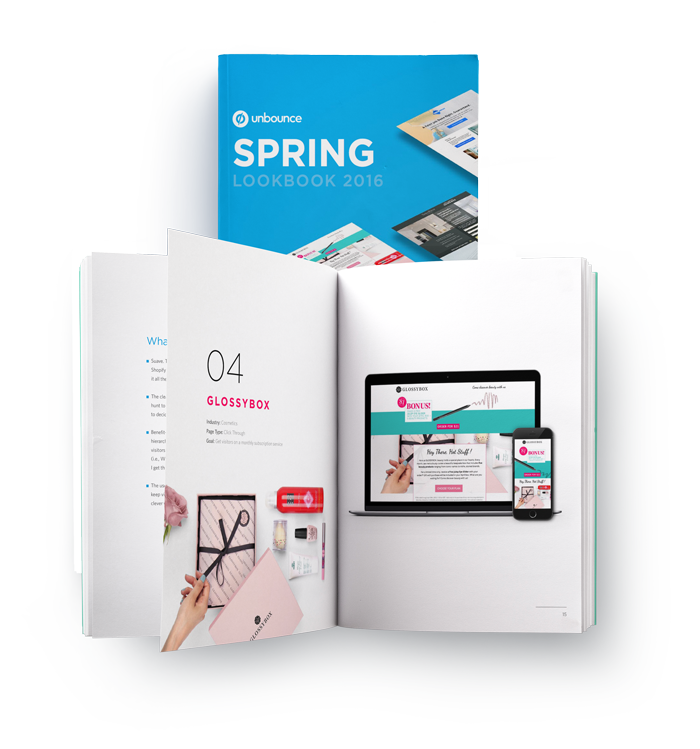 Download our FREE Spring 2016 Lookbook, packed with landing page design inspiration!